The University of California currently invests approximately $10 billion in the fossil fuel industry. Divestment from the top 200 fossil fuel companies has been a subject of debate since 2012. Within the next few months, it is predicted that the UC Regents will make their decision on whether to divest from fossil fuels, though the topic has been continuously tabled at the Regents meetings over the past months. The University of California has responded to public disapproval of their investments. In June, President Janet Napolitano convened a Task Force on Sustainable Investing to look into the financial and social implications of fossil fuel divestment. This task force included three Regents—Norman Pattiz, Bonnie Reiss, and Paul Wachter—as well as two student members, Victoria Fernandez (University of California, Berkeley) and Alden Phinney (University of California, Santa Cruz). Both Fernandez and Phinney are representatives of Fossil Free UC, a campaign of students, alumni, faculty, and staff, which demands that the Regents adopt a five-year plan to freeze new and current fossil fuel investments, commit to coal divestment and divest from the top 200 fossil fuel companies, invest in alternative sources of energy, and implement student representation in decisions of divestment. While the FFUC has been campaigning for these recommendations for over a year, the recommendations were brought to the attention of the Regents during task force discussions. However, despite their task force membership, Fernandez and Phinney felt that their presence on the task force was regarded as a “nuisance” and their opinions were disregarded. 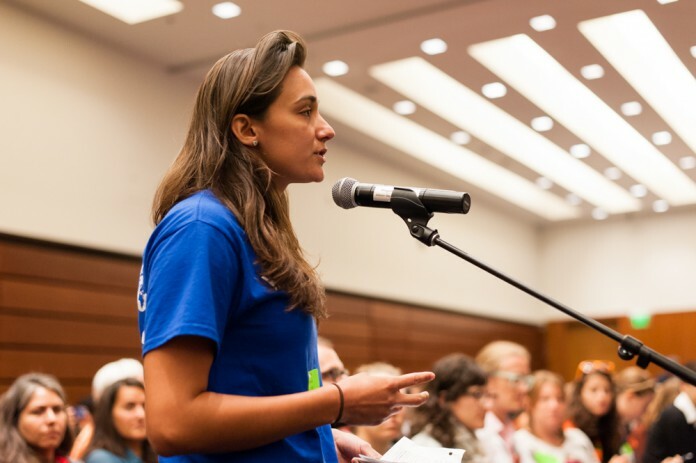 During public comment at the Sept. 17 meeting of the Regents of the University of California, several FFUC student activists voiced their opinions of fossil fuel divestment, and particularly the UC commissioned task force. Discussions of divestment occurred later that afternoon during the Committee on Investments. Regents entertained the topic of divesting from fossil fuels, but decided to wait to make a decision until the next Regents meeting in November. On Sept. 18, the Regents voted to uphold the task force’s recommendation to implement ESG (environmental, social, and governance) framework to govern their portfolios, sign onto the United Nations Principles for Responsible Investment, and invest $1 million in climate solutions. However, despite student, alumni, and faculty demand to divest from the top 200 fossil fuel companies, the recommendation does not include a commitment to divestment nor continued student involvement in the decision-making process. Divestment has been a widely discussed topic on each of the ten UC campuses, including the University of California, Santa Barbara. In Fall 2012, Fossil Free UCSB was founded through the AS Environmental Affairs Board. During the 2014-2015 academic year, one of the main focuses of Fossil Free UCSB will be persuading Chancellor Yang to publicly endorse fossil fuel divestment. Additionally, Fossil Free UCSB will be increasing student activism and participation in order to build the movement on campus. Fossil Free UCSB will also be attempting to schedule in-person meetings with the Regents to further push for divestment and campaign for student involvement. Representatives from UCSB, as well as other UC campuses, will continue to push for divestment at the next Regents meeting this November.